The nation's fourth largest carrier, Sprint. announced today that an update it had sent out beginning last month to two flagship models, fixed a problem and raised download speeds on both phones by at least 20%. We are discussing the HTC U11 and the Samsung Galaxy S8. The update fixed a problem that had limited the amount of time each phone was able to spend on Band 41, which is Sprint's fastest spectrum band. To be more precise, a bug in the Snapdragon 835 chipset's radio code was knocking the Galaxy S8 and HTC U11 off of the band earlier than it should have been. This would move the handsets back to slower Bands 25 and 26. Since the updates were disseminated, the average download speed on the Sprint branded Samsung Galaxy S8 has risen from 21.6Mbps to 28.9Mbps. The average download speed on the U11 is now 27.9 Mbps, up from the pre-update average of 19.2Mbps. 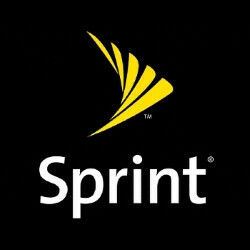 Unfortunately for Sprint, the updates (and thus the faster download speeds) were not ready in time for PC Magazine's fastest mobile network competition. The test was done in May, before the update was sent out. Despite this, Sprint still tallied a 59% increase in peak speeds at 195Mbps. Had the update been included on the Galaxy S8 unit used in the competition, Sprint argues that it would have finished third in the Galaxy S8 speed test instead of fourth. "There was a miscalculation in the software that was reading the device, so it tuned away from Band 41 before it should. Working back with Qualcomm and Samsung, we quickly found it, diagnosed it, and launched the update on June 5. "-Ryan Sullivan, VP of product engineering and development, Sprint. 85% of Sprint's Galaxy S8 users have loaded the update on to their phone. As far as the HTC U11 is concerned, this device supports 4x4 MIMO antennas on Band 41. As a result, the U11 has more data paths on this frequency than the Galaxy S8 has. This means that in theory, the new HTC flagship should be faster on Band 41 than the Galaxy S8 is.